Never Rely On Only One source for Health Care Advice..
Nattokinase is much cheaper than Uno De Gato (Click Here For my site about U.D.G. or See Link below on page). I’ve used it synergistically with the B1/chromium ect (both for neural defense, etc. from the U.D.G.) and POA U.D.G. which is stronger than chemotherapy and doesn’t harm your immune system. And like U.D.G and Avemar (Click Here for My UDG/Avemar Site) it has a much higher comfort level than some other herbs I’ve tried. In fact nattokinase and other soy products like tofu, miso, unlike many cancer drugs, are considered to be good for feeling good..
For more defense of both my nerves and circulation from the herbs that sometimes have neuropathy, I’ve used nattokinase with the B vitamins, since by increasing circulation, it gets more B in deeper more often, to increase the neural/circulation loop in a deeper method. As they say about herbs like ginko, boosting circulation boosts brain health and other circulation may be of real worth with UDG. While scientific evidence is not yet available about long term higher dose use of nattokinase Nattokinase has been used for hundreds of years in Japan. Click Here for the WebMD site about nattokinase, or see link at the end of the post. The site says it’s not yet known if nattokinase is of use against cancer. There are some such as on this site who describe the possible mechanism of nattokinase against cancer. 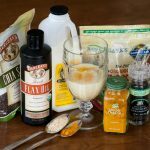 This site (“Global Health Center”) mentions studies that show that the enzyme amylase shows “amazing” ability to limit some types of metastatic cancer and dissolve tumors. Here they recommend using amylase only with doctor’s care. Amylase has cautions about liver, kidney, and blood sugar. Note that while nattokinase has been used for hundreds of years in Japan, the Livestrong site says nattokinase is not considered safe for use without a doctor’s care. While the Livestrong site may be a mere disclaimer, caution is advised. How old and wise this doctor may be, I don’t know. Dr. Time is how wise, as the old expression goes, there are as many beliefs as there are believers, and as the professor would say “war is war, and peace is peace, and science is science”. Even if we’ve never quite heard it other than otherwise, Evidence conquers all, or more. Nattokinase is cheap because it’s so powerful. Actually the nattokinase like most anticancer prescriptions also causes metastasis, (as on my Avemar/UDG page, see on site about ginger and manuka or other (medicinal) honey if you want more alternatives e.g.ginger reduces tumors by 57%). Theoretically nattokinase might be of use since it both increases available oxygen by increasing circulation a lot, (oxygen is what your immune system uses to inject into cancer cells killing them) and nattokinase also dissolves fibrin which is a sticky substance cancer cells can otherwise hide out inside, the mass of the tumor, etc.. The fibrin is 17 times thicker for cancer cells, and nattokinase might dissolve the fibrin and may the cancer cells “visible” to your immune defense. Note that merely increasing nattokinase will also increase the debris of the battle between your cells and the cancer causing “confusion” and loss of efficiency in your defense. So I’ve considered using Avemar as below plus nattokinase in lower doses, and less frequently with U.D.G. in order to first let the immune cells in by way of reduced fibrin, and then perhaps the immune system is much more powerful to boost my defense synergistically. This seems like common use of radiation therapy to first soften tumors, and the remove them more by other methods like chemo, except nattokinase may be less harmful than radiation in this first step. The nattokinase might dissolve the tumor on the outside, allowing more Avemar and U.D.G. and other methods here to remove more of the tumor, allowing more nattokinase. Of course, as recommended on this site about nattokinase and cancer, ask your health care provider first, and be sure to exercise caution especially if you have any bruises or bleeding problems you may not easily heal up. On balance, nattokinase like Avemar and Una De Gato POA has been much more comfortable for me/no side effects apparent than herbs like graviola or solanine..
Nattokinase is like most prescription anticancer drugs and some herbs (e.g. artemesium) in that it causes metastasis. The cancer that it increases moving outward is more aggressive than before. This may not mean nattokinase is worthless, but like prescription drugs, it needs to be used with greater caution. When you bomb a hornets nest the hornets are having a bad day no doubt, and they move out. Nattokinase is so effective at removing fibrin, it lowers systolic blood pressure 20 points the first week, and the hornets nest is reduced. Perhaps this is of some value even if low blood pressure and reduced fibrin themselves aren’t the cause of a heart attack or the cancer. For this reason for me at any rate I’ve found it’s important to take nattokinase at low dose gradually in cycles (if at all), combined with other strong anticancer herbs, drugs etc. to kill the cancer cells once “out in the open” first a bit more nattokinase, wait till all signs are go by removing the hornets, then perhaps more small doses of nattokinase..
Is that nattokinase “upsets” cancer cells, causing mutation, this means that while natto dissolves the tumors, it’s also making the cancer cells themselves stronger, is this temporary, like the hornets? or permanent? This is a question I don’t yet know the answer to. Natto may be better than radiation therapy, or maybe not in the long run. Merely a good method isn’t always the best method. Also keep in mind that nattokinase doesn’t actually kill cancer cells, it only dissolves the fibrin so you may need some way to also kill the cancer cells. For this I use Avemar, the well researched powdered beer Nobel winning extract. Avemar is said to repair even a severely damaged immune system, and it kills most types of cancer. As I say I also use (medicinal) honey, ginger, perhaps some Una De Gato, etc. and as I say here, or see link below Avemar seems to have blood sugar problems, which I’ve solved or improved much by taking dermally PM, low dose, so I wasn’t woozy from the carbs, and if you can tolerate oxygen (I can’t as much) if you get stronger with exercise, you might be even better off with Ellis Water which gives oxygen to cancer out the rest of the wooziness at that time of day.Keep in mind that Avemar, natto or Ellis water may not be for everyone. You may still achieve most, and find other methods elsewhere, cheer up I’m no elf swear! Click Here for my site about consideration of Ellis Water and if it’s of worth for you, or see link at end of post. This is dissolving or melting away the hornet’s nest, more gradually in a presumably less noticeable way to the “bees”. For me this seems to have worked well. At first with higher dose of nattokinase many of my blemishes removed while considerably more of my new blemishes started. Even so after a week or two with lower dose once in a few days (like 1/20th of the cap, small pinch) it seemed to settle down and no new blemishes appeared either. If tumor reduction rates are improved with nattokinase, it seems it makes it so your immune system can find the “bees” outside the nest where they are easier to remove. Going in cycles, removing a bit more nest, removing more bees may seem to bee! a more worthy way of improving with nattokinase. Even so with the risk other methods on my U.D.G. Avemar site I consider more of worth than nattokinase. Uno De Gato, Avemar, Ginger, medicinal Honey, Green Tea, and sulphoraphame, and flax high lignan, etc. seem to be a “safer way” in the short term at any rate. Nattokinase used with other methods while with more risk it seems possible may also be of value if used with caution, and with other methods, otherwise perhaps not. As I say, ask your health care provider. Another possible though as I say not necessarily most optimal solution, might be what’s called wobenzym, a formula containing some nattokinase and also other enzymes like bromelain from pineapple. 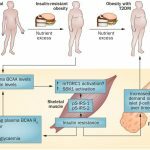 It’s designed to be a more gradual way to dissolve the tumor, and these enzymes seem to have potential since using another enzyme, serrazyme actually is considered even more powerful, to then finish off the tumor without so many toxic “metabolites” since it’s also more powerful. In the Webmd search there is no listing for the safety of wobenzym, while it just lists nattokinase, which it contains. The Livestrong site lists cautions, and they’re just like allergies, rashes, hives, upregulates sedatives, no blood thinners. The only serrazyme caution seen on WebMD is about blood thinners. Click Here for the WebMD site. One way serrazimes operate is by going through and checking all the DNA. If the DNA is wrong, that cell is removed. It acts like a sort of enhanced RNA transcriptase, the proofreading molecule that is essential to copying all DNA to RNA that then encodes the proteins. This reminds me of my idea of an external immune system, added to essentially boost what your immune system does, e.g. for people with impaired immunuty, or those dealing with SARS, or etc..
As an artist with ye old copy machines, I often draw light with edits, a line drawing, then copy at lower resolution to multiply up the good and filter out the “noise” then finish with a higher contrast copy of the drawing, Vwalah! A cool looking ink type drawing without so much labor. Click Here for some samples. As the old saying sings, habits are first cobwebs, then power wires. History marms love me! So the idea is to start in more gently, gradually to melt the hornet’s nest cleaner and more efficient without all the confusion and debris, and only then finishing more with your more powerful one two punch. Keep in mind there are other methods needed than these even if they work, if you have a fire, you need many fire fighting machines, as it hopes to move out from the source. For more of these methods I’ve used see my other pages, and see the web. As with the idea of the hornet’s nest, it seems it’s wise if enzymes are used at any rate, to never put them directly on a tumor, don’t hit a bully who may be stronger than you, don’t fire the boss. I believe as in altruism in evolution, it increases efficiency, labor much and well to solve the bosses meanness in all you control, being mean or trying to fight fire with fire is not the best with the boss, fight fire with water, oceans of love to you! Is if metastasis isn’t a problem by use of lower doses of a method like wobenzym, there is still the problem of bruising or bleeding problems. I’ve noticed while nattokinase shows power against the blemishes for me so far, I’ve also had bruising on the bottom of my feet when I exercise, and bleeding in my eye, bloodshot by strain by the computer. I saw my optimist, and she says this is common, and no harm to my eye. This site about the “Nattokinase Scam” is when a doctor says the problem isn’t about metastasis, rather nattokinase is fybrolytic, that is it dissolves both fibrin good and bad, both the tumor and other tissue, where bleeding is then more easy, yet not for us. The majority the history of cancer solutions has used methods that with few exceptions harm cancer cells, yet also healthy tissue. But living without cancer might be easier to live with than living with treatable bleeding problems not that it has yet solved my blemishes. Even so sites say that most people with bleeding disorders can live completely usual lives with treatment. I’m starting with vitamin C, fenugreek, and flax oil plus diosgen, an orange peel extract for blood vessel integrity. The nattokinase site lists other research that seems to show nattokinase is actually helpful to good circulation, and bad to fibrin. Another issue discussed on the link (a site of lots of reading) is about how no nattokinase is absorbed due to the nature of the digestive system, but (on the GPS site map!) some say if even a bit is absorbed it’s of worth to digestion at any rate. My experience finds it to be definitely well absorbed. One important caution about nattokinase is about bleeding, natto has a lot of vitamin K which itself causes bruising and bleeding. So you may want a formula with vitamin K removed. 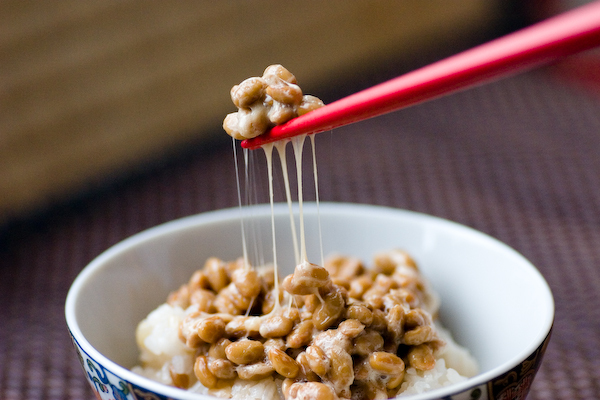 Click here for where to buy natto with K removed, or see link at the end of this post. One reason to know the battle isn’t over even with enzymes and more is that unlike most types of cancer, sarcomas such as leukemia are soft or fluid and don’t need tumors to grow. So more than just enzymes, even if the are actually of worth which they may not be (“Let sleeping dogs lie? “or “All out war, the only way to be triumphant is complete victory?” Or if it just seems complete victory and wouldn’t be?). These seem no mere philosophical questions about nattokinase at any rate. There isn’t yet enough evidence. Perhaps more than anything else, I learned by defeating the chess machines, one of the great lessons was that if you have the same wager and don’t know what you’re getting compared to that wager for the same payoff and you do, you more often choose knowing, this is what the machine that defeats almost all human players would use as a classic strategy. So just patiently waiting with what herbs you definitely know are reliable and work are of value, holding out till a better method arrives might be the way to thrive in general. Even so in essence, this is what some seem to promise about wobenzym and serrazimes, though this may not be my best defense, just one possible way perhaps. I’ve Mostly Reduced Uno De Gato to only one drop AM and one PM, POA UDG. Even while a bit toxic, Una De Gato has worked for me only in combination with Avemar low dose and nattokinase low dose, and have improved all my blemishes the best. All three have important values, Avemar for immune modulation, nattokinase to dissolve fibrin, and UDG for mitochondrial modulation, plus immune modulation. Avemar and nattokinase have risks, Avemar has cost, and even with Avemar’s great advertised power, and what we might think of nattokinase, for me both were not enough after about 6 months use of Avemar and two months of natto. And even one drop a day of POA, in combination with the nattokinase and Avemar, AM/PM stopped all the new blemishes the next day, it’s the new ones, the change that may be the most important. The idea may be to combine several less powerful yet ways of worth to combine to stop the cancer, since any one way may be too simple, even Avemar so far for me, even if it may be getting more powerful. While I found that nether of the three can be used at higher dose due to cost or toxicity of other than VISA sneezes, the lower dose combination has worked best for me. If you have a fire, you want more fire fighting machines, just a few won’t have as much defense, even so the machines may need to be more smart than just powerful, especially in combination. Methods like nattokinase, Avemar, ginger and Ellis Water Seemed Better due to Neural Issues with U.D.G. (other than perhaps one dose) but for me, a drop of POA of Una each morning has been the most of worth. May be to keep watch on the “antisense” or “RNAi” drugs, these use the opposite code of the DNA to cancel out the bad code once it’s known, killing just the cancer with a cheap simple reliable method. The first antisense drugs have had trouble with delivery of the coded DNA to cancel inside the nucleus of the cancer cell (or it could be of use for any cell to stop, a health miracle for many types of illness). Your “incurable” cancer may soon be safely curable. Finally antisense or RNAi are being solved. Ask your heath care professional, or I’ll ask a health rich lady at my nearby Biz Mart store, IV’s of cash and we’ll be richer! Where to buy the Nattokinase I’ve used, Vitamin K Removed Click Here..